Keyezua | Exhibitors | LagosPhoto | International art festival of photography in Nigeria. 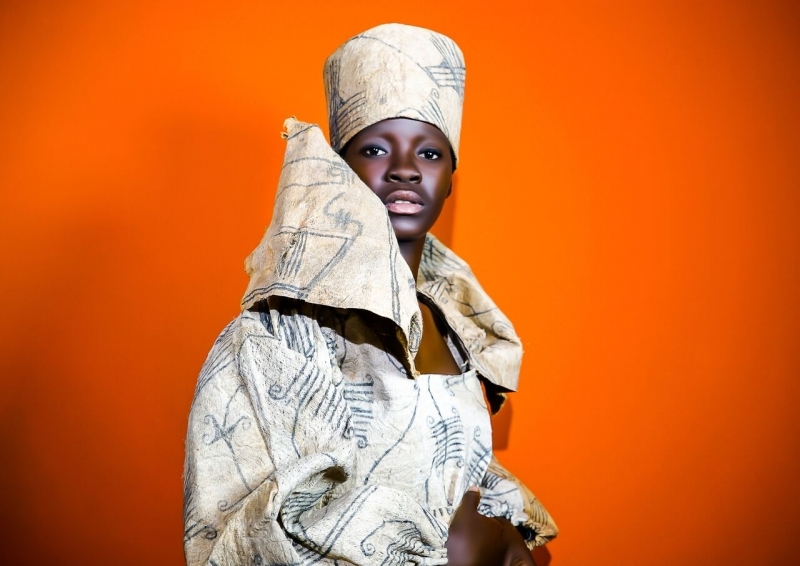 A photography project using the image of a young woman wearing handmade clothes made of raw materials using ancient basket techniques. Questioning how developed is Angolan Design today? 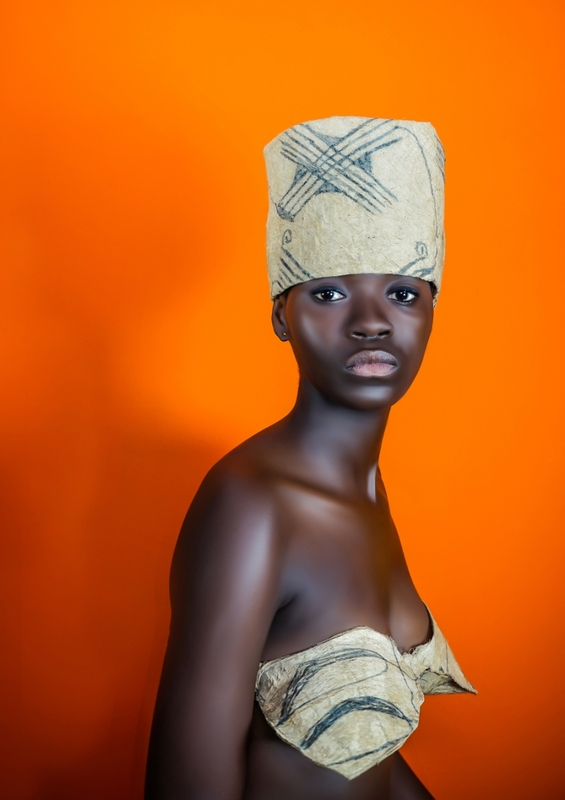 Inviting the viewers to think further than African prints as identity and international design, which are often produced in Europe by European designers and sold to Africans. It is essential to produce and reinvent without forgetting our practices and traditions, emphasizing the fact that today not only Africans but the world has a strong desire to find authenticness in Africa to construct modernity and tradition. There is a modern design limitation, old Angolan weave masters were never challenged to reconstruct and revive traditional crafts made with materials found and further developed in Angola. It is important to develop an answer to “what is behind the tribal masks?” and baskets it has been representing art coming from Africa as a souvenir and also as one of the most used objects in African art. It is time to study the different functions our materials have and the different stories one can tell with these traditional techniques. I am Keyezua a storyteller using art as a communication tool that manages to tell more than my words will ever do. Art provokes, educates and empowers without pity. It is a powerful tool and it is in the hands of this generation to create value for our government, organizations and foundations to put artists as an integral component to the further development of culture, economics, feminism, and individual development in Africa. What makes me uncomfortable in our society is what helps me create an artwork that deserves to exist as I follow the revolution that happens in my mind when I am not satisfied with a situation that affects human rights. Due to technology as a catalyst for change, everybody can educate and market themselves as an artist but is not everybody that is willing to use art to fight a cause or to provoke and insist in intellectual change. For us, women, we can't just make art to make art look pretty and successfully hang on a wall at home or in a museum. It needs to demand respect, debates, confusion and experiment with tradition. I am Keyezua.